﻿G﻿awar beans also known as cluster beans. They have a distinct flavor and slightly bitter in taste. Gawar beans are first chopped and then cooked in spices and in the end mango powder is sprinkled that add the flavor to this dish. This dish adds a little variety to the lunch or dinner menu. 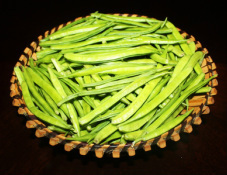 Gawar beans are thin flat pale green and about 2” to 3” long and have tiny pods inside. 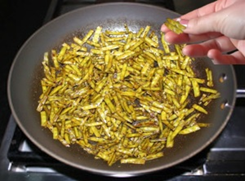 Gawar beans are crunchier than green beans and have a slightly tougher texture. They are widely grown in India. 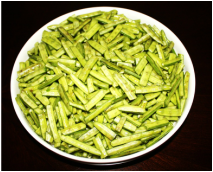 Young beans are harvested for vegetable use and the mature pods are harvested for the production of guar gum for commercial purpose. 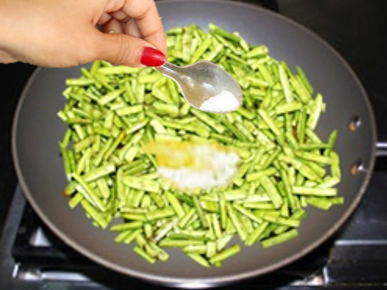 Gawar beans are low in calories and full with nutrition. Cooking this dish is little labor intensive because each bean need to be stringed and chopped, but the result is worth the effort. 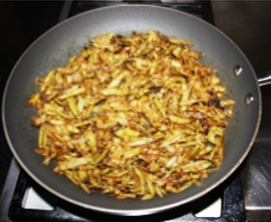 Gawar ki phalli are served as a side dish. 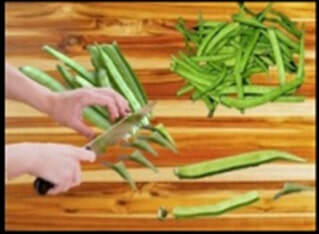 Out of India cluster beans are available in Indian grocery store, both fresh and frozen. In this recipe recipe beans are cooked with spices and in other recipe beans are boiled first then fried with the spices. 1. 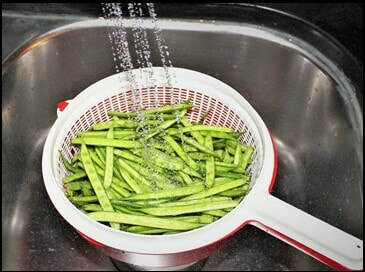 Pick out and discard any badly-shaped Gawar beans and wash them thoroughly. 3. 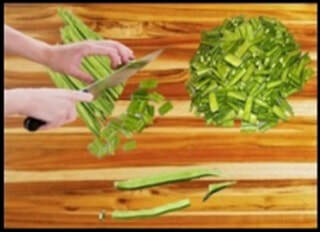 In one slice, cut off all the tips of the beans at once. with your hands pluck them in to two pieces of one inch length. bean with your hand, and then pull downward and take it off. 7. 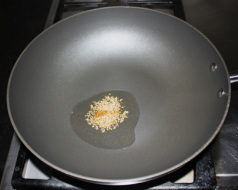 On medium high heat add 1 tablespoon oil in a non stick frying pan or heavy bottomed stainless steel pan, add carom seeds and asafetida and fry them for 2 to 3 minutes or until carom seeds are fried. 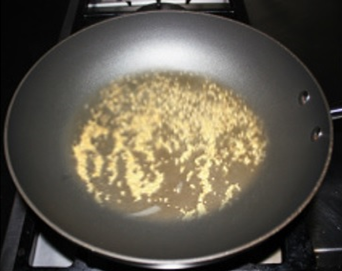 spices in the oil and fry for few second. and they cook evenly, add more water if needed. evaporated, turn the heat down to medium. crispness of the beans, turn the stove off. 1. 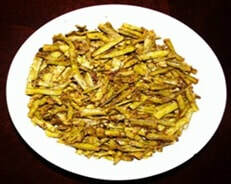 Choose tender Gawar Beans as mature beans are bit harder and fibrous than tender ones. If the beans are not tender then it requires stringing. To remove the strings break the top with hand and pull the string towards the bottom to remove fibrous thread. If cluster beans are tender then it does not require stringing, just trim the top and bottom sides and cut beans into 1” pieces. 2. Pressure cooker could be used to cook the beans as it takes less time to cook. Fry spices in the pressure cooker as you will do in the pan then add chopped beans and ½ cup of water, mix beans with spices, cover the lid of pressure cooker. In about 8 to 10 minute pressure cooker will start steaming, turn the heat down and cook for 2 minutes. Turn the stove off and wait until steam goes down. Open the pressure cooker. 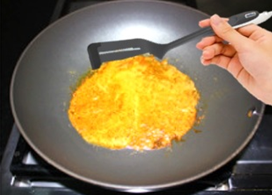 Turn the stove on to medium heat, with the cooking spoon mix the beans, it there is water then cook until all the water evaporates then sprinkle mango powder and fry as above.